It's a strange thing, but hardly uncommon in the Internet age. I had to find out about Pennsylvania's Mindaze through a German promotion outfit distributing promotional packages for Swedish label Inner Wound Recordings. Mind you, Mindmaze's roots are in Allentown, a mere hour drive from Dangerdog HQ. Here we have their sophomore effort Back From The Edge, soon to get more and better interest thanks to this international promotion. 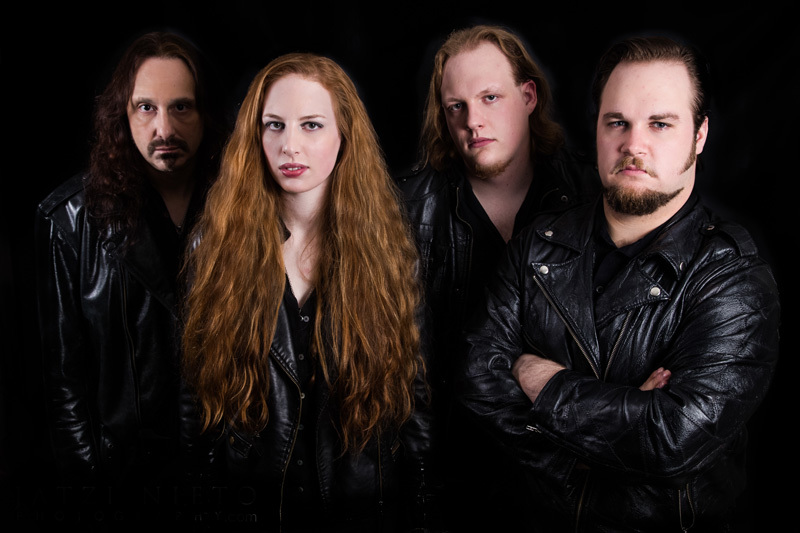 Mindmaze works from the roots of traditional melodic heavy metal, and then throws in female lead vocals with a good mixture of progressive power metal. The band is essentially a trio, led by siblings Jeff and Sarah Teets, with guests filling the bass guitar chair. For the album session recording that duty fell to Symphony X's Mike LePond. They get additional support from Stratovarius keyboardist Jens Johansson (Moment of Flight), Pharaoh guitarist Matt Johnsen (The Machine Stops), and Lord guitarist Lord Tim (Onward Destiny Calls II). Keeping good company with talented musicians is one thing, but delivering the heavy metal goods is another. And Mindmaze does. I was particularly impressed at the depth of the songwriting and arrangements. All the songs are thick with groove, harmony, and melody, yet sufficiently intriguing thanks to shifts and twists from tempo to instrumentation. Significant to the latter is Jeff Teets' impressive guitar lines. His riffs and leads are rather rather large, rousing and entertaining. So much so, one might call this a guitar-oriented metal album. If you like sharp guitar work, you will definitely enjoy this album. As for sister Sarah's voice, her vocals are essentially straight foward, easily in the range of hard rock and heavy metal. What she's not is some crazy operatic singer trying to impress you with her range and pierce your eardrums. She reminds me of A Sound of Thunder's Nina Osegueda, but not as screamo. With that reference, I would suggest that, if you like ASoT, you're going to love Mindmaze. As for individual songs, I won't bore you with minutae. You can listen to a few tracks below. I was immediately pleased with Dreamwalker, Moment of Flight, and The Machine Stops. The latter two having perhaps the most 'proggish' moments of the album. Not so much for Consequences of Choice. It's not a bad song, but just seems more riff driven and even-handed, with little intrigue. But it in no way diminishes the strength of the whole as Back From The Edge a fine listen from start to finish. Easily recommended. 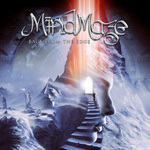 Back From The Edge is a fine listen from start to finish, solid melodic progressive power metal from a talented band. Easily recommended.